Grafik were commissioned to provide a multi discipline service, including Architecture, structural engineering, civil engineering, mechanical and electrical designs, Code for sustainable homes assessments, SAP assessments, BREEAM, SBEM, Ecohomes, EPCs and Sound testing, for Swan Homes Housing Association in preparing a construction package. 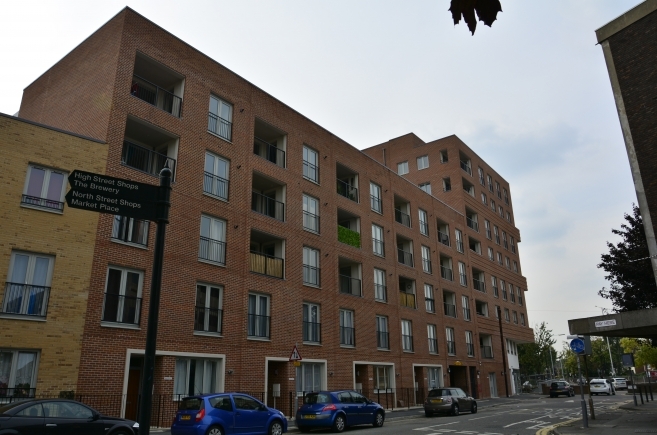 The development comprised of 68 new build flats, 2 new build houses, 4 refurb flats and a refurb retail unit. 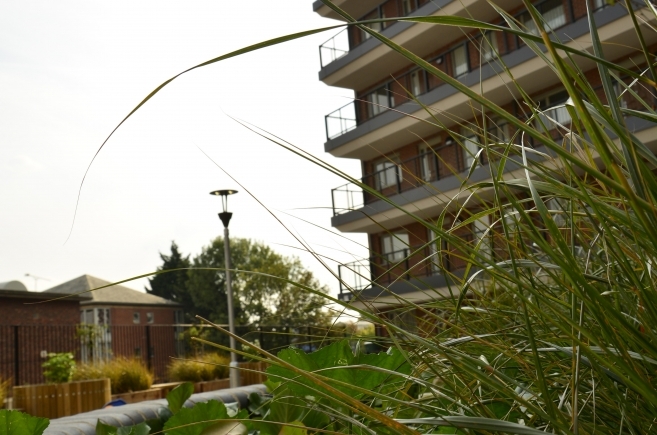 A secure car park has been provided on the ground floor below the new build flats, as well as cycle storage for both visitors and all residents. The landscaped first floor podium deck has a children’s playground area with soft surfaces and play equipment. 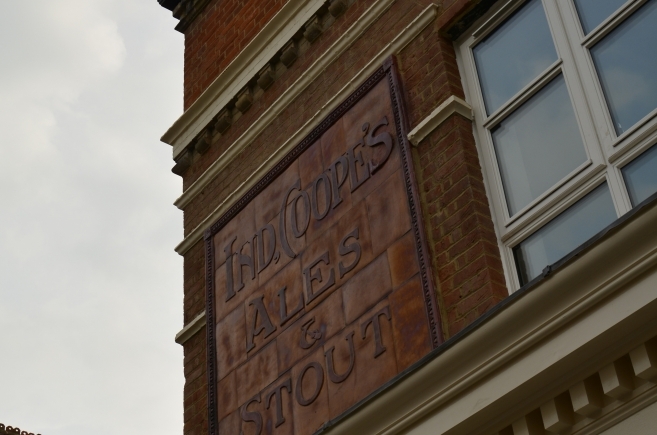 The site is situated in the heart of Romford’s town centre. The derelict former Secrets Nightclub, on the corner of the High Street and Angel Way, has been completely refurbished, and converted into a ground floor retail unit with 4 modern flats on the first and second floors above. 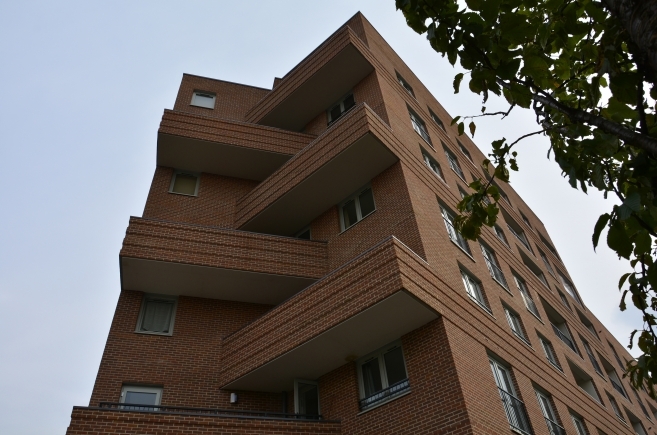 The refurb flats have been designed and built to an Ecohomes ‘Very Good’ standard, and the retail unit to a BREEAM ‘Very Good’. The 70 new build dwellings have all been designed and built to Code for Sustainable Homes level 4, incorporating energy efficient and sustainable measures such as Air Source Heat Pumps, Photovoltaic (PV) panels, Low U value walls, Lifetime Homes, water butts, Cycle storage and smart meters. This project was completed in October 2014.